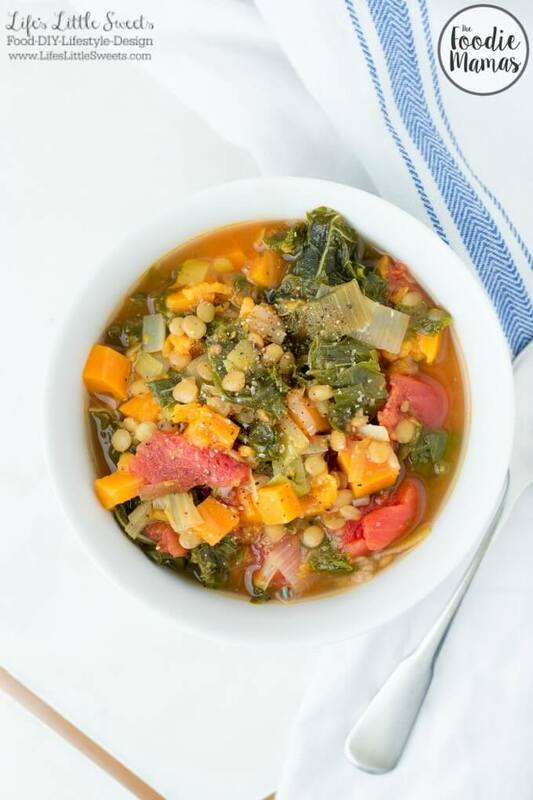 Sweet Potato Kale Lentil Soup is incredibly nutritious, so flavorful and perfect for a Fall or Winter soup. 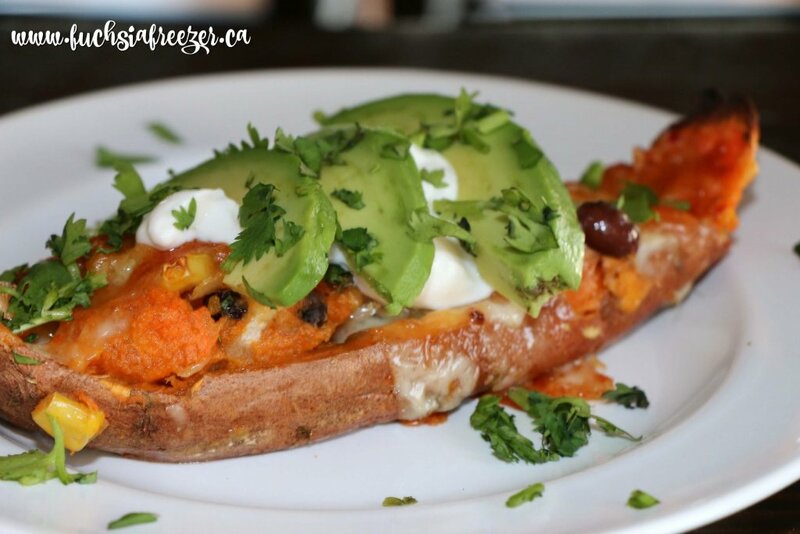 (vegan) Check out all 8 Sweet Potato recipes from the #FoodieMamas recipe roundup below! It’s soup season and January is National Soup Month! Remember I shared my Soothing Ginger Garlic Chicken Noodle Soup and these Beef Potsticker Wonton Dumplings and Pork Cabbage Potsticker Wonton Dumplings can be enjoyed in a broth (directions in both recipes!). 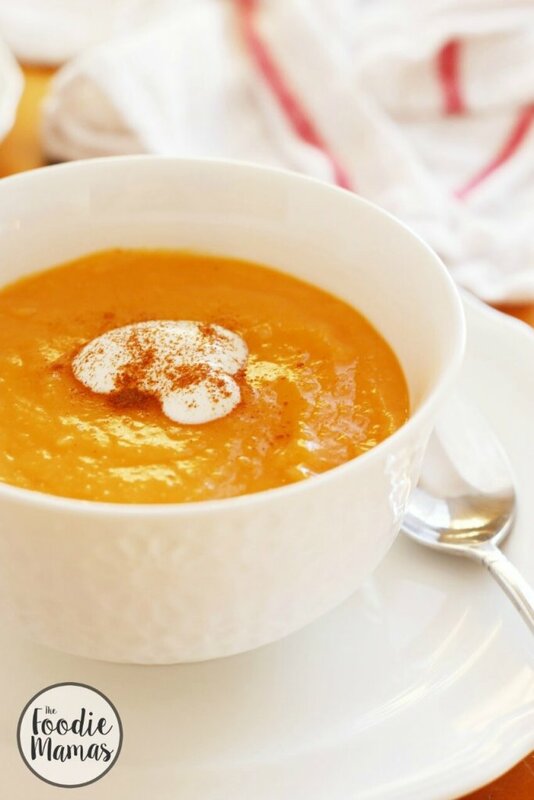 Enjoy this hearty soup that is more like a stew to fill your tummy on those cold Winter days. 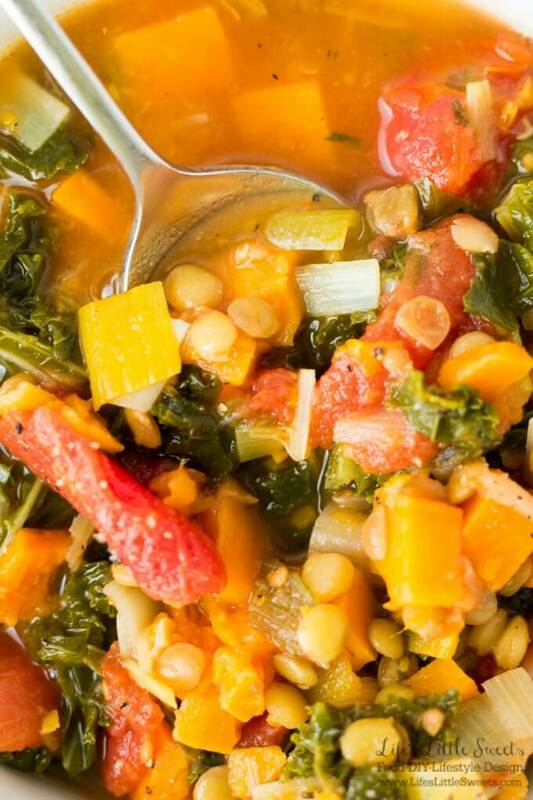 It has sweet potatoes, flavorful leeks, nutrient dense kale and lentils and aromatic rosemary! 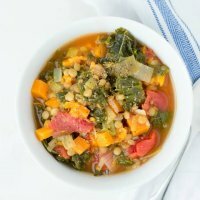 I made this soup for a soup party a couple of years ago and it was a hit! 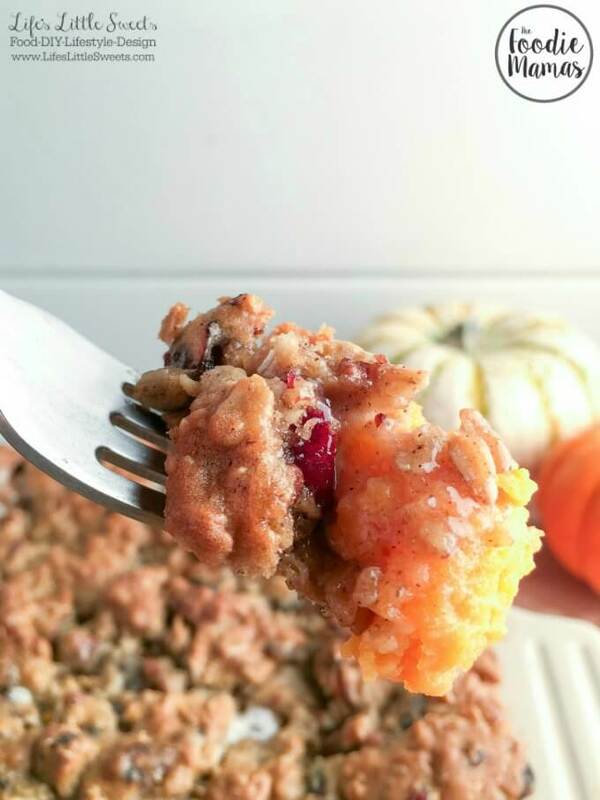 It has wonderful texture and SO much flavor! 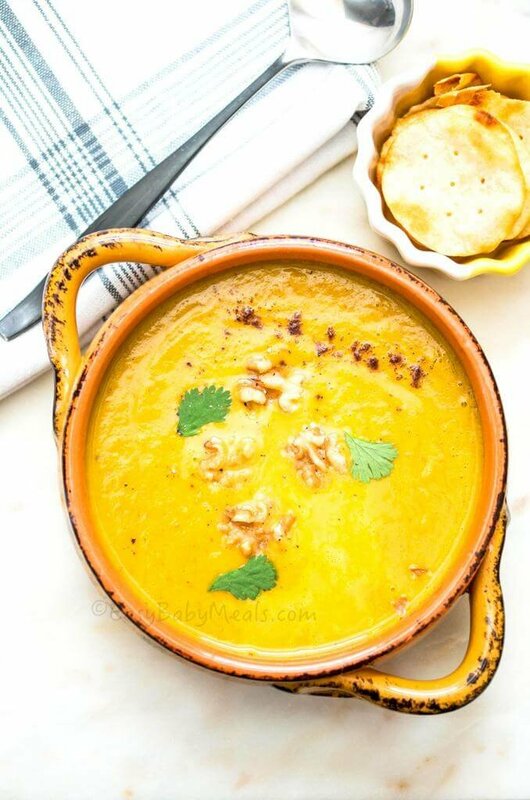 This soup is great the next day and will thicken when chilled overnight. You can always add more water to thin out the broth and more salt and pepper to taste. 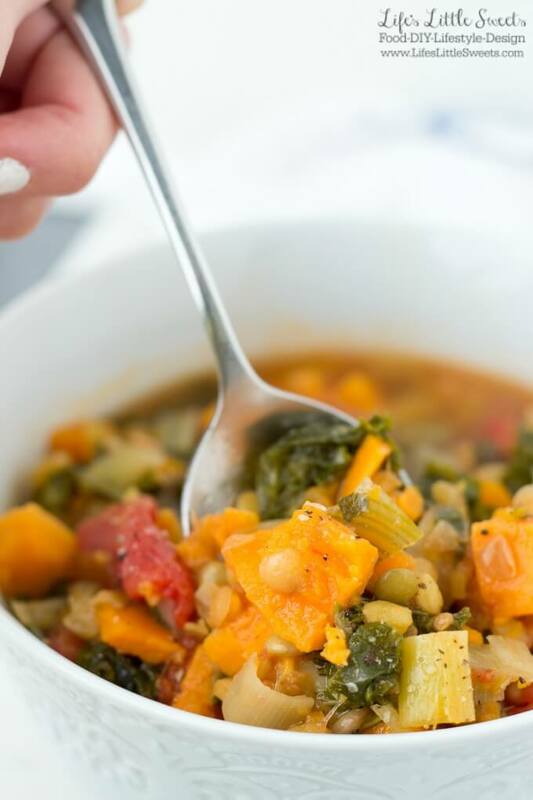 Sweet Potato Kale Lentil Soup is incredibly nutritious, so flavorful and perfect for a Fall or Winter soup. 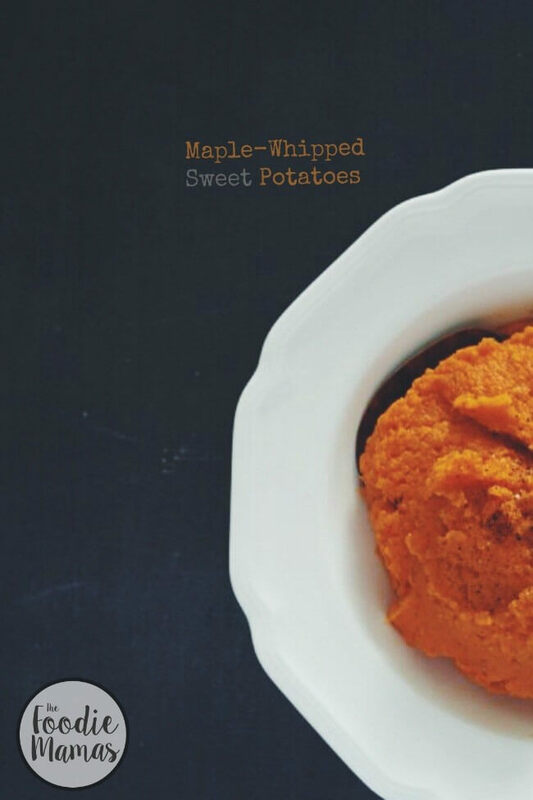 (vegan) Check out all 8 Sweet Potato recipes from the #FoodieMamas recipe roundup. Heat the olive oil in a Dutch oven or large soup pot over medium heat. Add the leeks, cook 3 to 4 minutes, stirring occasionally to cook evenly. Add the 28 ounce can of tomatoes, break them up with a spatula and cook for 5 minutes, stirring occasionally. Add 6 cups water and bring the mixture to a boil. Add the cubed sweet potatoes, kale, lentils thyme, salt and pepper. Simmer for 25-30 minutes. Enjoy! 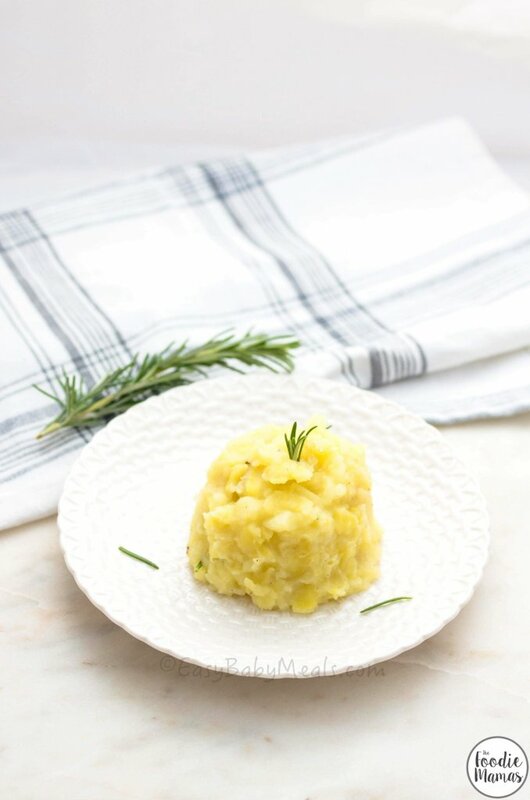 This is the FIRST #FoodieMamas recipe roundup of 2017! Yay! 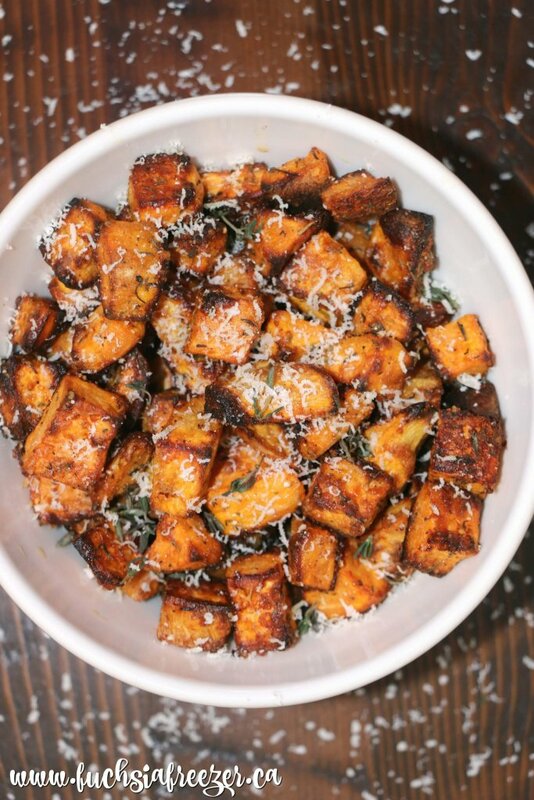 Emily Smith of The Best of This Life chose the ingredient this month: Sweet Potatoes! 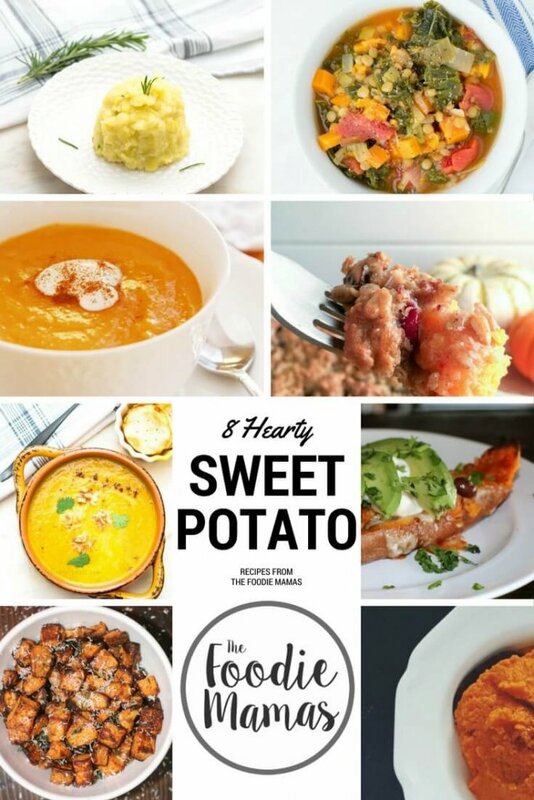 Enjoy the 8 Hearty Sweet Potato Recipes from the #FoodieMamas!